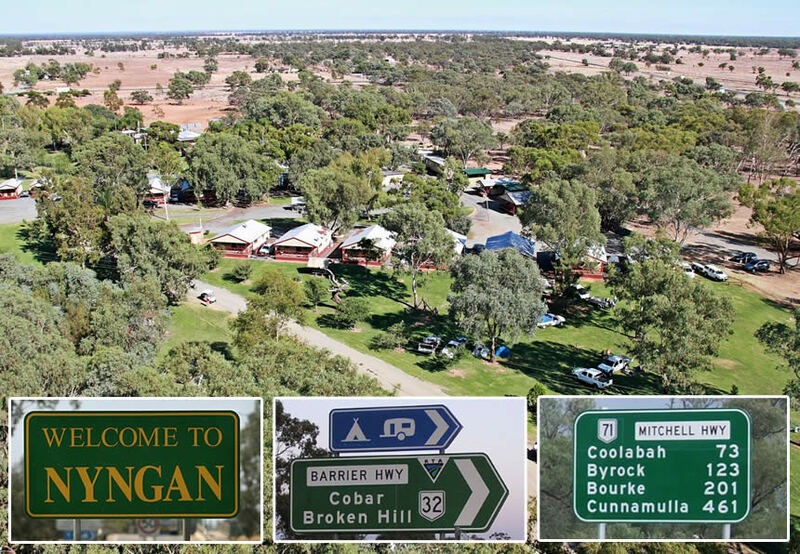 Nyngan is on the junction of the Barrier Highway and the Mitchell Highway in the Bogan Shire. From Cobar / Broken Hill: turn right off the Barrier Highway just before you get to the Mitchell Highway. From Dubbo / Sydney: turn left onto the Barrier Highway just after leaving Nyngan, and left again after a few hundred meters. The park is well signed and should be easy to find. NOTE: Be wary not to turn left at the Rotary Park entrance, you have to turn left onto the Barrier Highway (road to Cobar and Broken Hill) and then left again after 300 metres, which is our entrance.